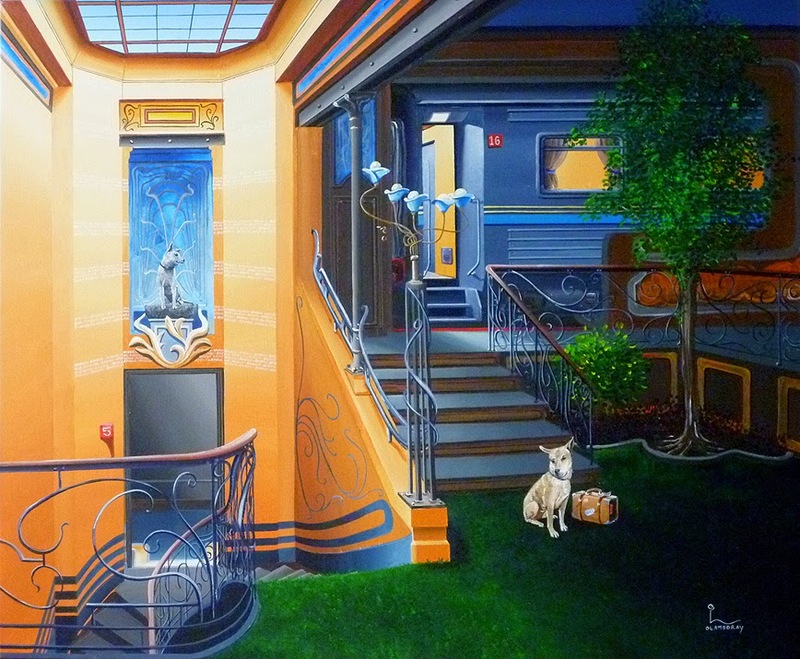 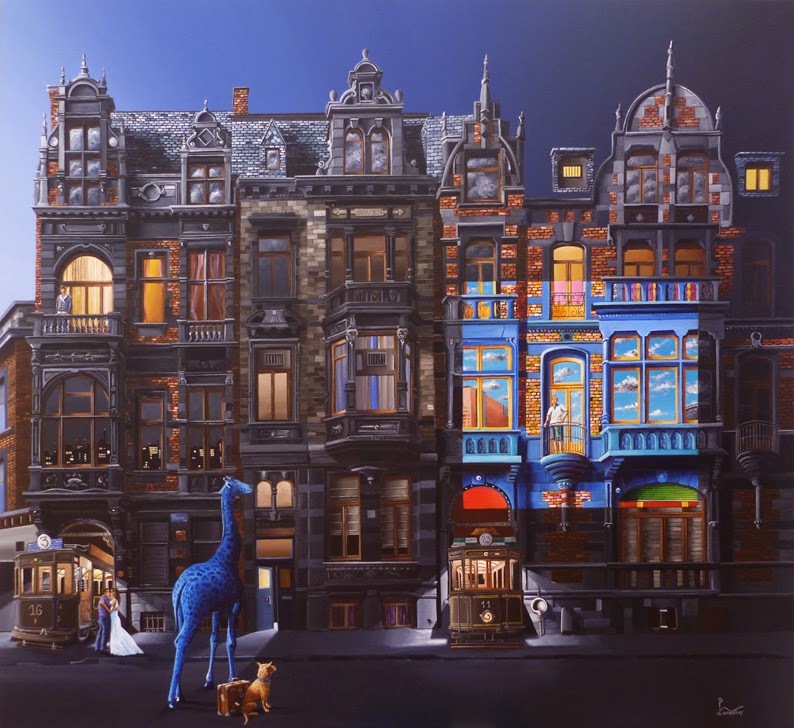 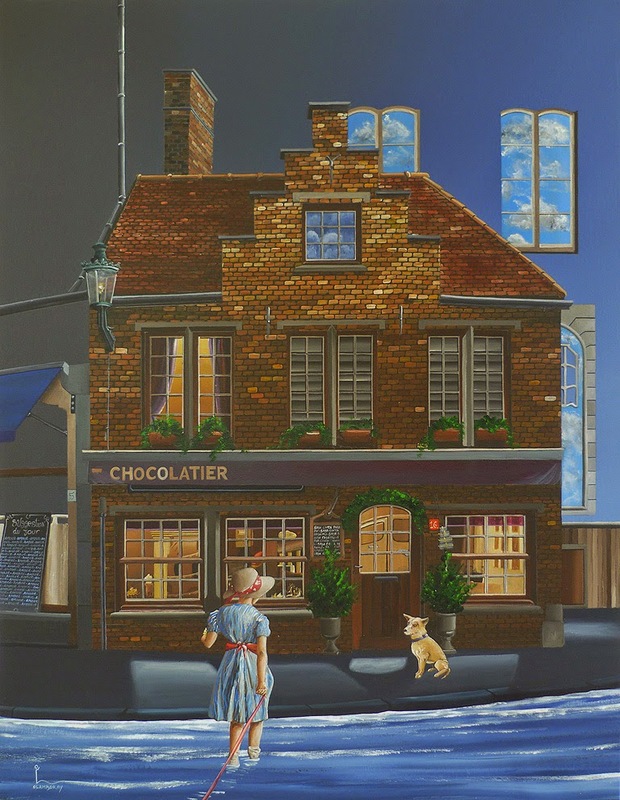 Some of the best Artwork, is produced because of real and deep feelings from the Artist, Olivier Lamboray is one of them. 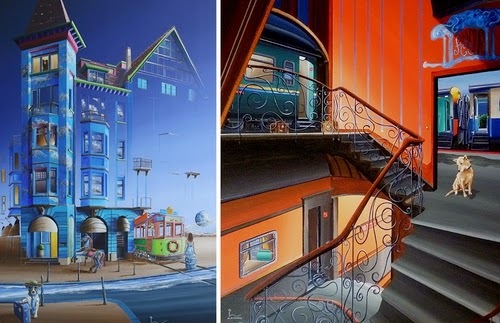 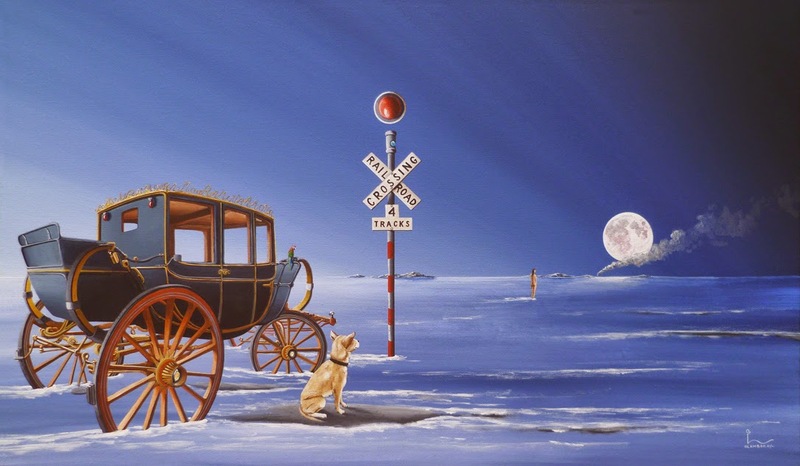 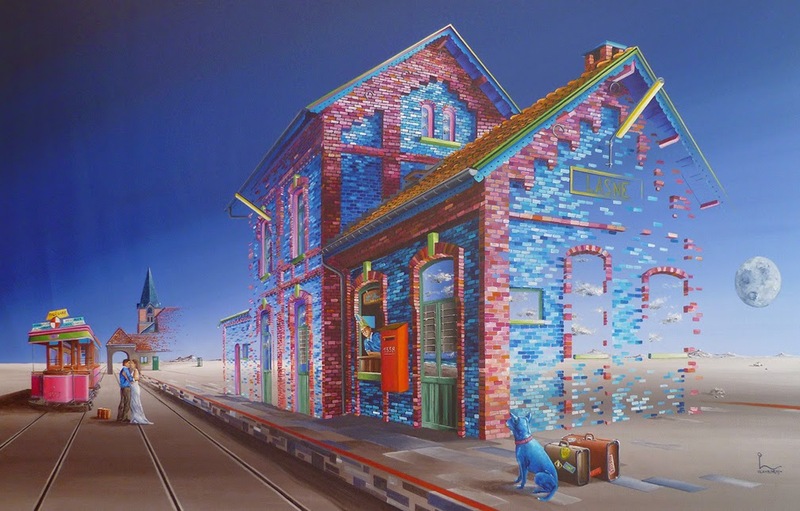 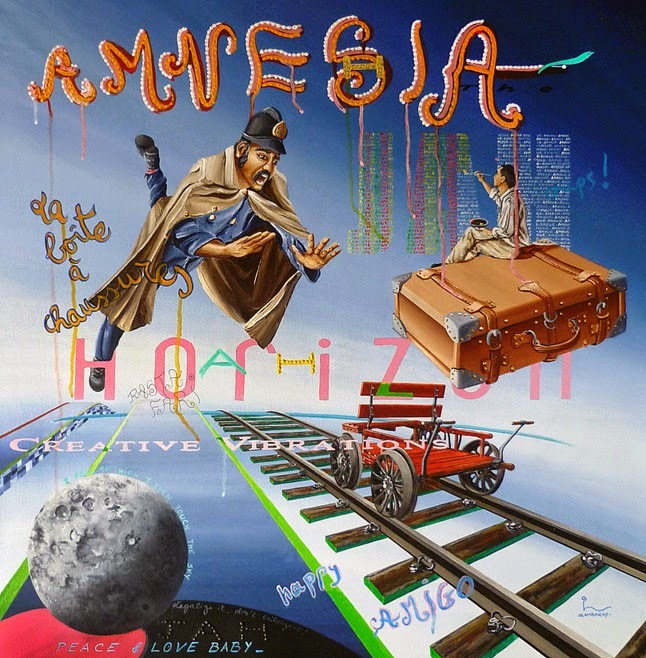 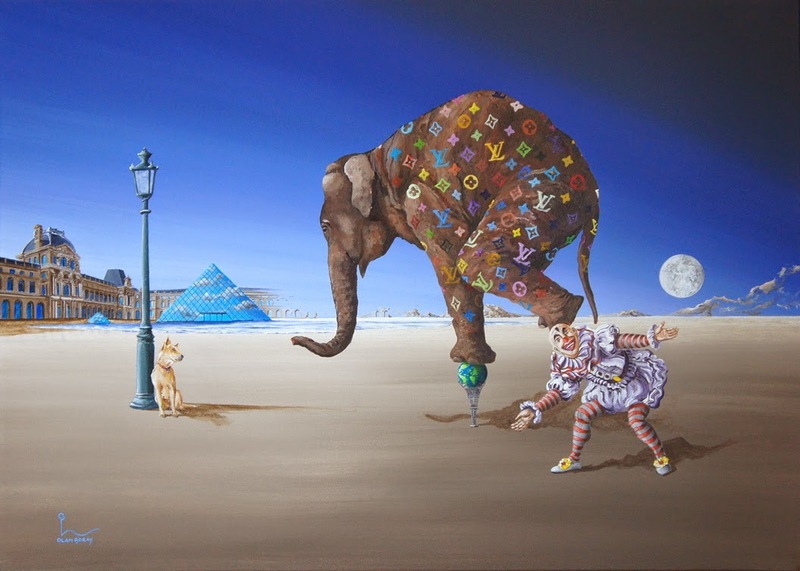 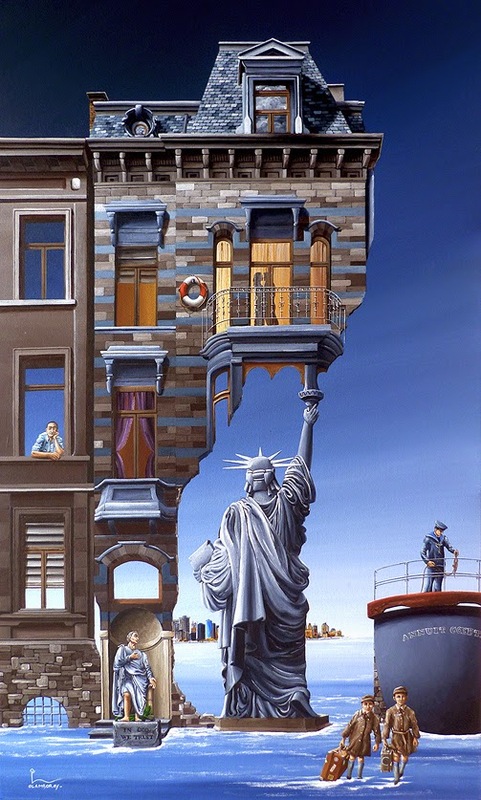 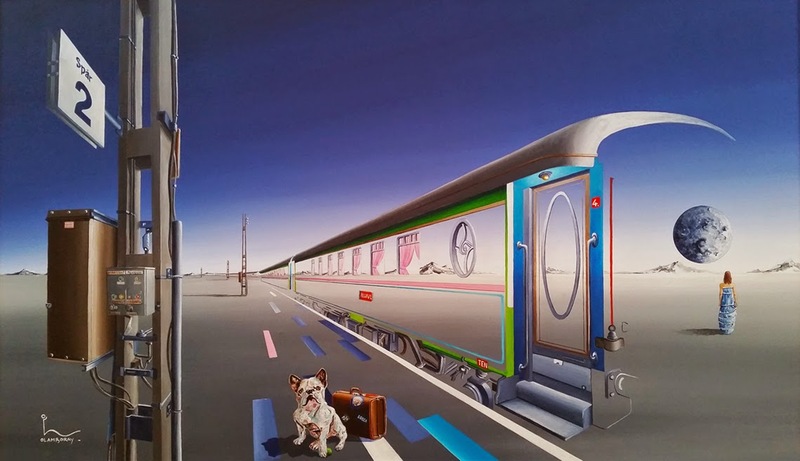 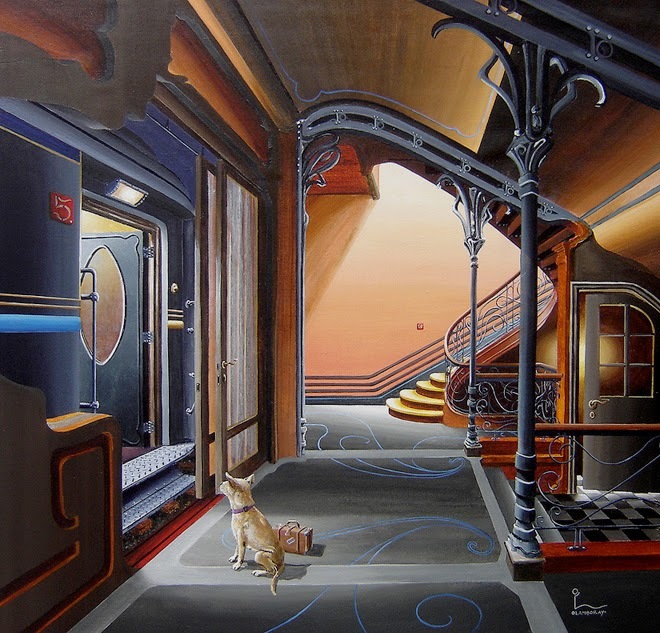 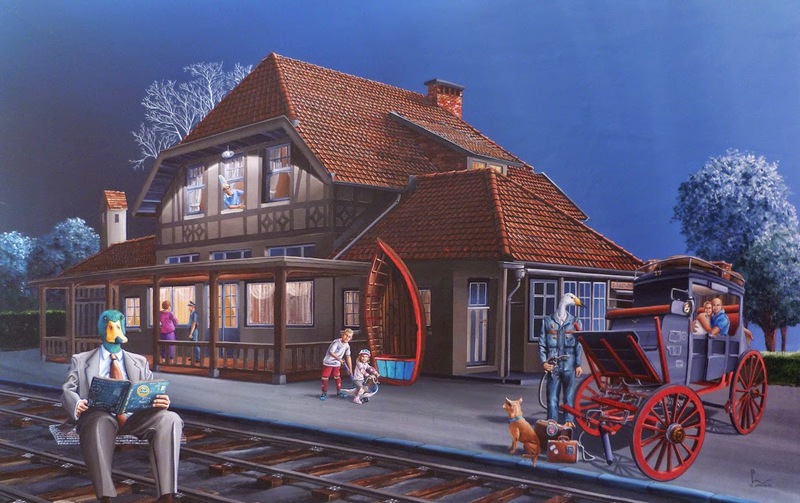 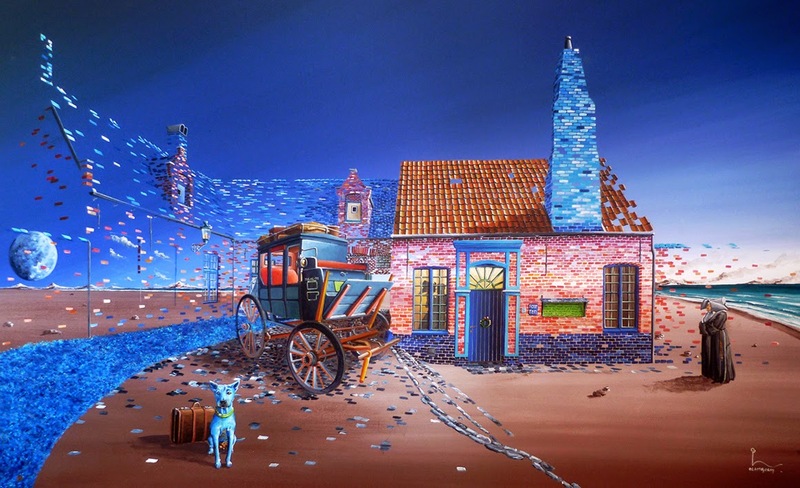 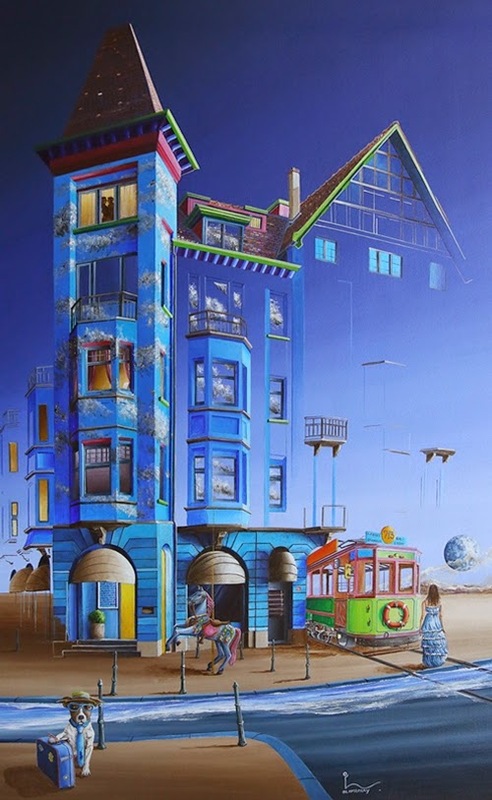 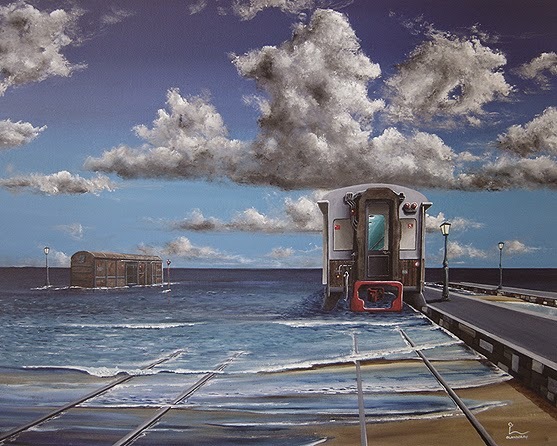 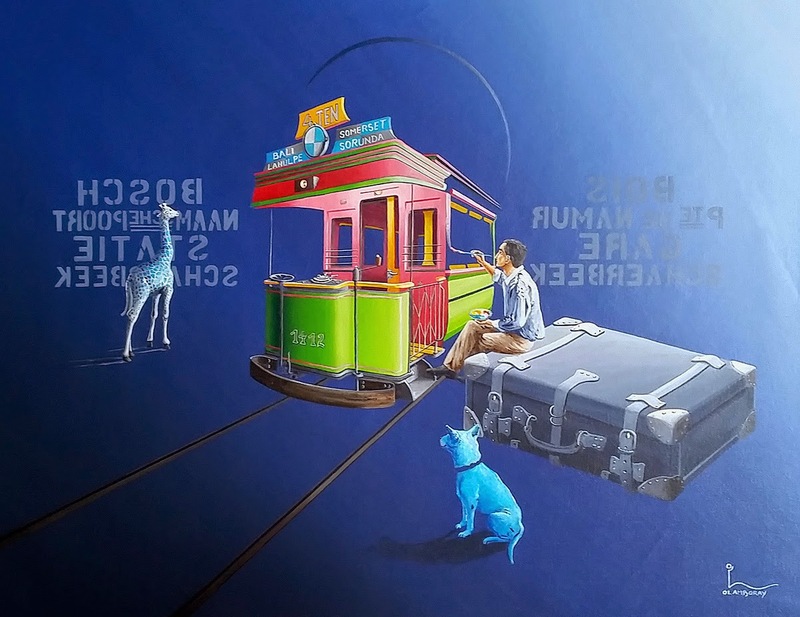 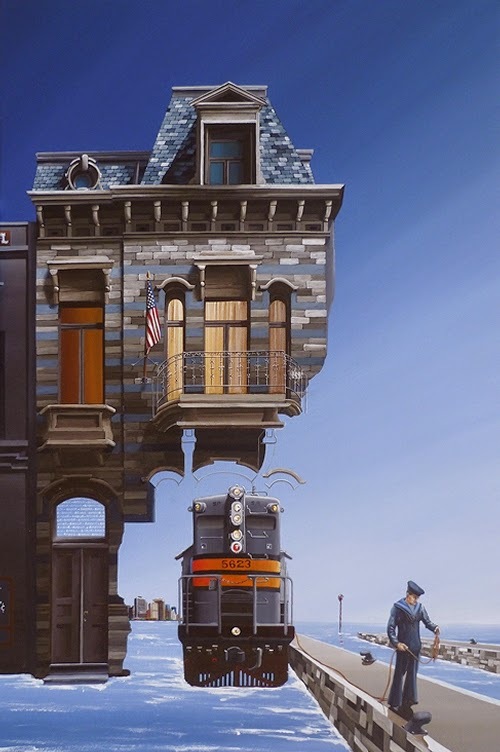 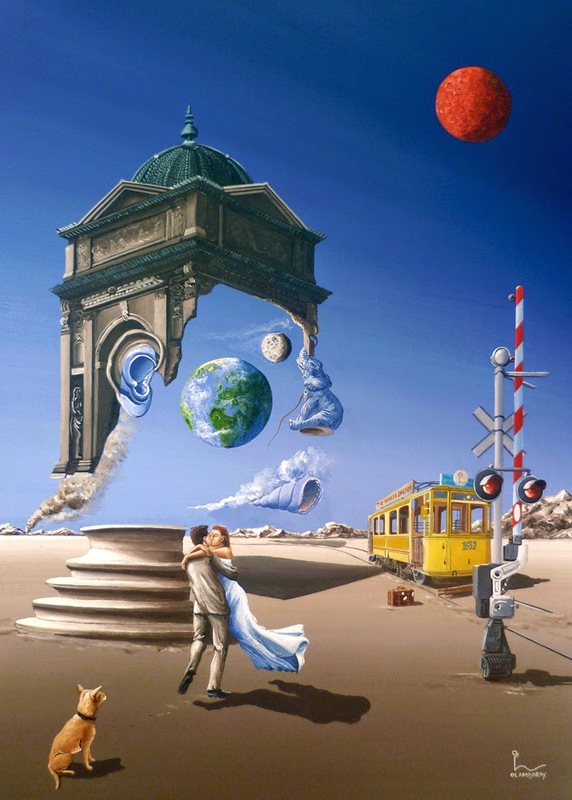 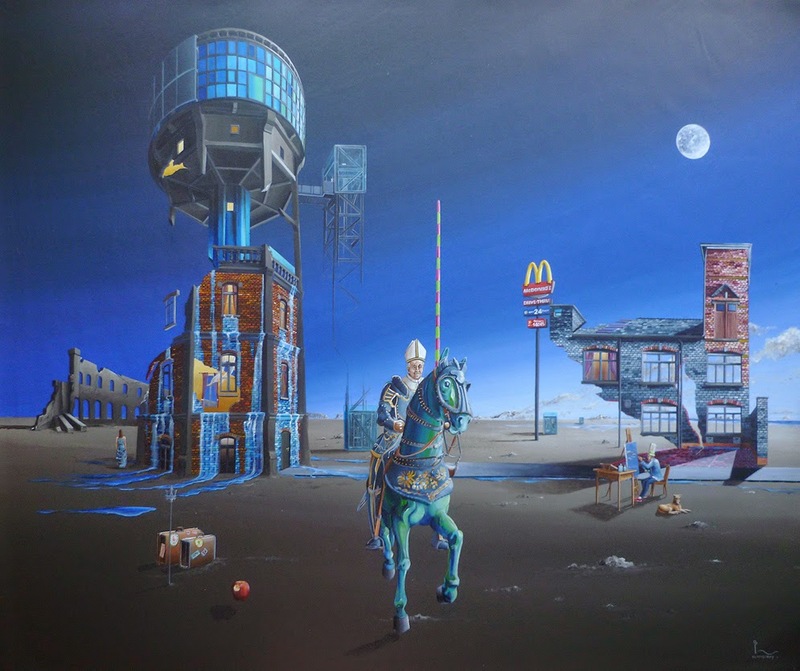 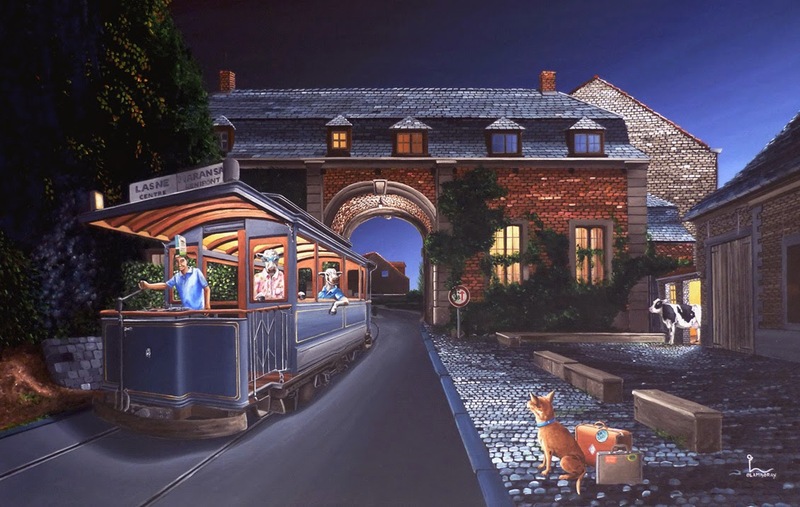 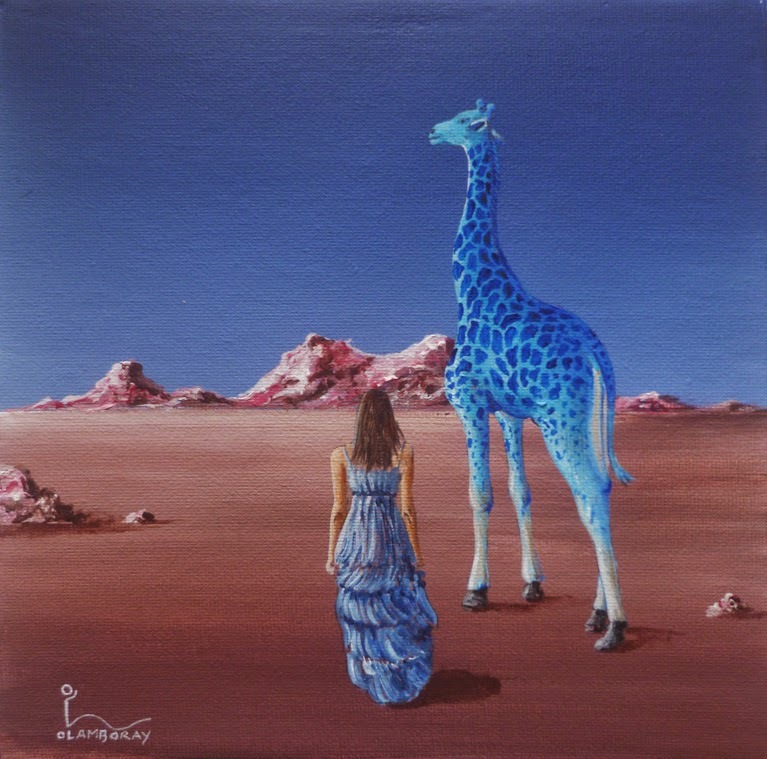 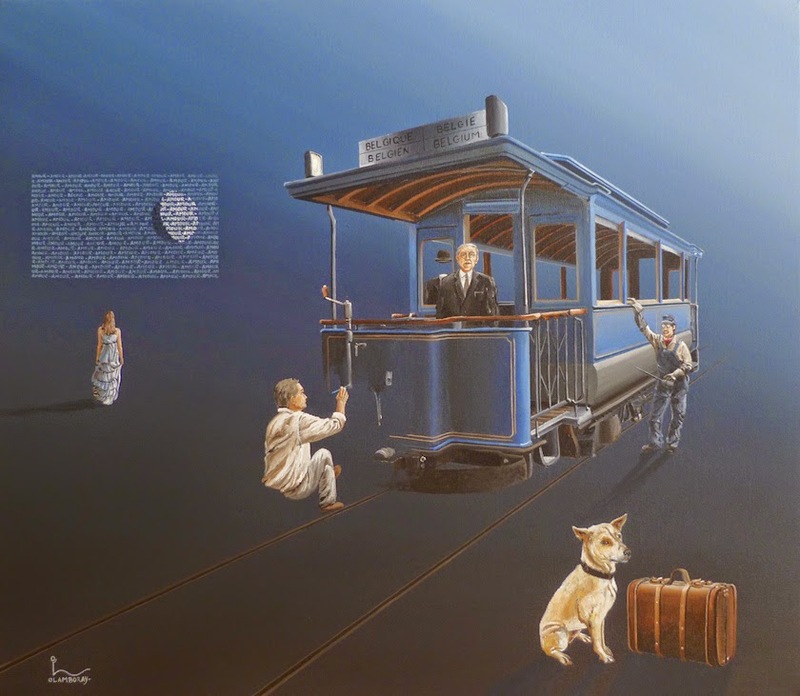 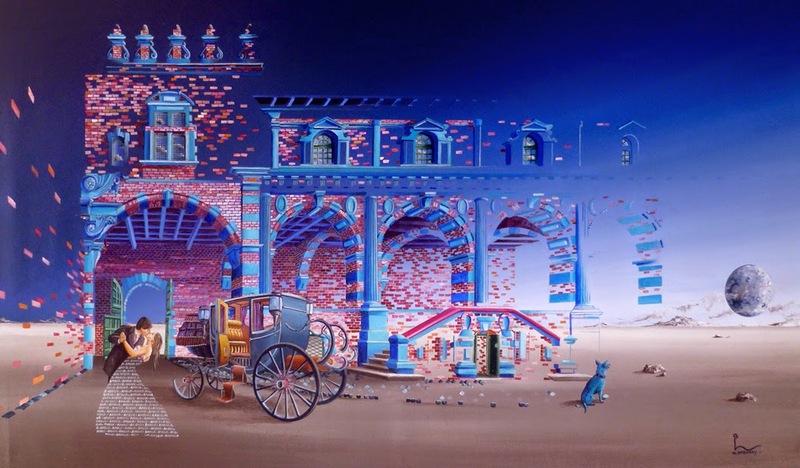 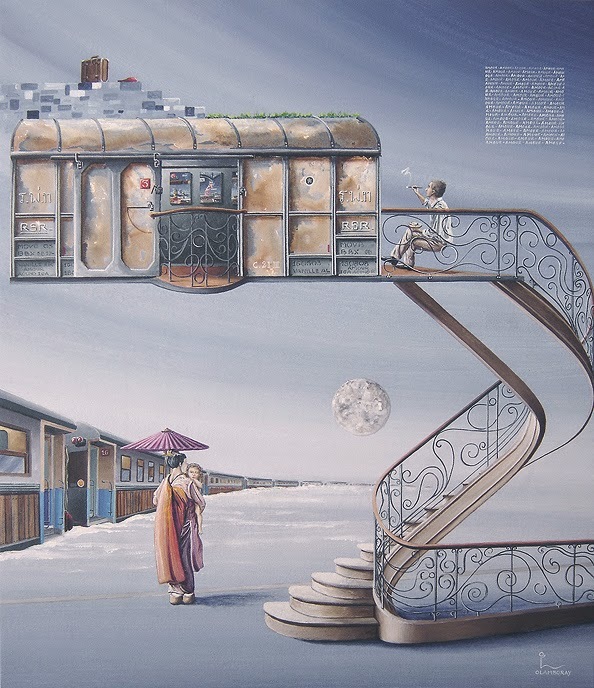 Themes recurring in his acrylic on canvas paintings, are the love and fascination for travel, that started when he was a child and lived next to an airport, he spent time imagining people going to all sorts of places, getting into all sots of adventures. 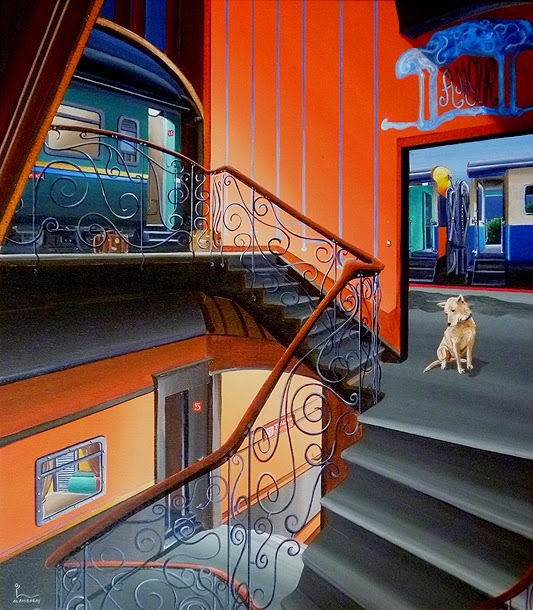 The others, are the breakaway architecture that melds into the background, symbolising the breakaway of the façades that adorn our lives and then there is his faithful dog.